According to media sources, two former child welfare workers were indicted yesterday in the death of a 4 year-old Brooklyn girl who was starved, beaten and drugged. This is the first such prosecution in city history thanks to Kings County District Attorney Charles Hynes. If ACS caseworker Damon Adams did his job and visited Marchella Brett-Pierce in her Bedford-Stuyvesant home, she might be alive today. Instead records indicate that he did not visit the home, but did falsify records after the girl died weighing just 18 pounds. Chereece Bell, 34, the caseworker’s direct supervisor, was charged with failing to monitor his work. Adams and Bell pleaded not guilty to charges of criminally negligent homicide, official misconduct and endangering the welfare of a child. Bell’s bail was set at $25,000. Adams, who was charged with additional tampering and falsifying records, was ordered held on $35,000 bail. Caseworkers first became involved with the Brett-Pierce family in November 2009 when Marchella’s youngest brother was born with illegal drugs in his system. Prosecutors said caseworker Adams was supposed to make biweekly visits to the home. He only made two entries in the agency’s computer records between March and September which included a phone call with a source involved in the hospital incident and an attempt to visit the home in June. Six days afterwards Marchella died. Adams then posted bogus entries saying he visited the home in March, April, June and August, prosecutors said. “His failure to make the visits is what ultimately led to her death,” Kagan said. The two ACS workers resigned a month after Marchella was found dead. Marchella’s grandmother Loretta Brett, 56, was also indicted Wednesday, pleading not guilty to second-degree manslaughter. According to prosecutors, Brett slept in the same room as the child night after night as she lay tied in her bed with no food and the grandmother never reported the suspected abuse. The innocent 4 year-old was beaten, starved, bound to her bed and forced to take multiple doses of Benadryl and other adult medication between July and September. She died severely malnourished on September 2nd – similar to the horrific abuse and death of Nixzmary Brown in 2006. Marchella’s mother, Carlotta Brett-Pierce, 30, was charged in November with second-degree murder and is awaiting trial. Brooklyn District Attorney Charles Hynes vowed to investigate whether the city agency followed recommendations it implemented after Nixzmary’s death. Faye Moore, the head of the Social Service Employees Union, said ACS layoffs and program cuts have overburdened workers. Frankly we’ve been hearing that tired excuse for years. And it’s not just Marchella who died because of ACS failures. ACS has been linked to at least four other child abuse tragedies. In a statement, ACS said the indictments “may have the opposite effect from what’s intended because it may discourage excellent, idealistic individuals from taking” jobs as social workers. This is not true. First … ACS doesn’t hire just social workers as caseworkers. This reporter saw an ad in the NY Times a few years ago. ACS was looking for caseworkers and the ad read that all one needed was a college degree. They did not have to be a social worker. And while shopping in Bloomingdales this reporter overheard a salesperson saying she was going for an interview to ACS. When this reporter questioned the salesperson about the interview she had just graduated from college with a degree in fine arts and had no work experience other than being a salesperson. 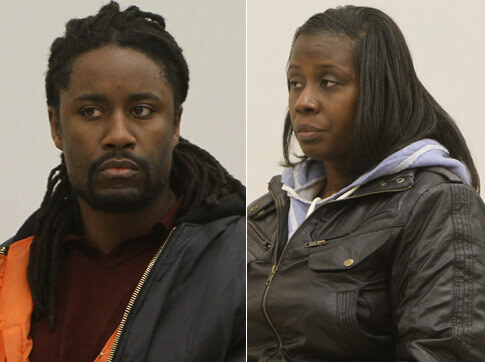 Kudos to District Attorney Charles Hynes for arresting these caseworkers. Our children deserve to live in happy, healthy and safe homes. If their parents are abusive and neglectful than we need a system that will protect them at all costs! April is National Child Abuse Prevention month. Let’s start protecting our kids instead of protecting the people who are supposed to be protecting them! In David Schwimmer’s TRUST, bad things happen to Annie, a good child. She is by all appearances a typical teenager – totally wired, online and available, 24/7/365. As the typical teen, the online interaction includes those with whom she has a personal relationship with a physical quotient: her best friends, family members, and school acquaintances. She also has availed to her an increased circle of acquaintances about whom her knowledge is limited to their projected online personas. In the physical world, parents see with whom their child interacts. As the parents witness this interaction they are able to help guide and influence their child’s choices. Overtime, the maturation of the child’s decision making skills demonstrates absorption of the lessons, principals and ethics of the parent. The child displays good decision making skills and the level of trust bestowed upon the child and their range of movement may be increased. Within the online world, it isn’t that different. The parents continue to have the responsibility to see with whom their child interacts both within their own community and beyond. Though alien for so many parents of today’s teens and tweens, the totally wired child is interacting at a pace which far outstrips the physical world interaction, while not being as easily observable by the parent. It is not espionage to know who is reaching out and engaging your child. When you have a friend pick up your child at school, there is a high likelihood that challenge-words are used between the child and the friend to provide assurance to the child that they can safely get into the vehicle with the parent’s designee. If an individual approached your child without the challenge-words, your child would react in the manner in which you instructed: “shout and run to the largest number of persons in proximity.” In the online environment the opportunity for private engagement with your child by an unknown individual is increased by an immeasurable capacity. The individual child can be engaged by anyone in the world, with an internet connection. So many attribute their lack of desire to look into what their child is doing online to their desire to trust their child. One should trust their child, but that level of trust shouldn’t extend to an individual about who so little is known – the online acquaintance and their online persona. Parents can and should do their own due diligence on those at the other end of the online connection. Parents can observe and monitor frequency and modes of contact. In addition to the “no meeting” rule, the next most important rule is all online interaction will occur from a centralized (observable) locale (the laptop in the bedroom should never occur). The parent can also advantage themselves to any of the numerous software offerings which will provide the internet protocol (IP) addresses with who their devices are engaged. In this manner, the parent can note all interactions and highlight those worthy of further investigation. If your child’s interlocutor is coming into contact with your child from a variety of geographically diverse locales, that should be considered anomalous and worthy of deeper inspection. If the child has their own device (laptop or desktop), then you may desire to put a time limit on when the device is allowed to access the internet (in the physical world, when the child leaves the home the parent knows where they are going, who they will be with and when they are expected to return) via regulating the router access. Mobile telephony is often overlooked. This is a means by which a child may circumvent the safety net provided by their parents within their home. Text (SMS) messages, video messages, photos, emails, and chat are all a part of the normal offering from today’s smart phones and warrant the same level of observation provided to the devices within the home. With respect to mobile devices one can review the device itself and also review the billing and call records in the same manner one would for the IP addresses. Again, there is available a plethora of applications designed to lock-down and regulate the areas of the accessible internet writ-large for mobile devices. The protection of your children is important. You can honor their privacy and enhance their protection by guiding your child in the online world just as you would in the physical world. In doing so, you will greatly reduce the opportunity for a malevolent person from making the adage “bad things to happen to good children” a reality.